In February, I boarded Fred. Olsen Cruise Lines’ Balmoral for a 46-night cruise that advertised the tropical shores of Central America and the thrill of Mardi Gras. It sounded like the perfect way to escape the doom and gloom of British winter weather, so I packed a suitcase (OK, three suitcases) and made my way to Southampton to embark on a cruise that would turn out to be one that I will never forget. From beginning to end, we encountered unfavourable weather, and although we gained an unexpected port in Spain on the first leg of the journey, we went on to lose several more that had been on our original itinerary: Tortola, Jamaica, Trujillo and Key West. It’s always disappointing when you miss out on something that you were looking forward to, but there wasn’t much anyone could do about it; we had to roll with it – literally. We may have missed some exciting ports, but Balmoral’s passengers were still in high spirits and we certainly weren’t short of other fun-filled destinations! We still called to the rest of the ports that had been on the advertised itinerary. They were: Madeira, Barbados, St Lucia, Antigua, Cozumel, Belize, New Orleans, Tampa, Miami, Jacksonville, Port Canaveral, Charleston, Bermuda and Ponta Delgada. All the ports that Balmoral visited during this cruise are certainly worthy of being shared. I usually can’t stop talking about Caribbean islands, but I’m going to restrain myself and instead highlight three of the destinations that turned out to be the gold stars on my 46-night travel chart. Balmoral’s cruise was titled Central America and the Mardi Gras, and, although we had missed one of our ports in Central America, we didn’t miss Belize. I’d never been to Central America before, so I was looking forward to exploring new lands. I’d booked an organised excursion with Fred. Olsen to the Mayan ruins at Lamanai, which included an exciting boat ride up the New River and a traditional lunch. It was a long, hot day, but the excursion itself was my favourite of the entire cruise. 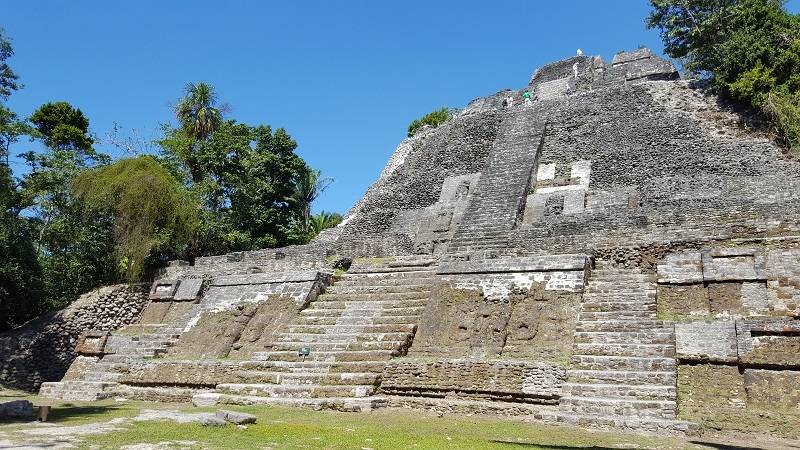 Lamanai – which translates as Submerged Crocodile in Yucatec Maya – was fascinating. At one time it had been a major city of the Mayan civilisation. I was surprised to learn that most of the site had remained untouched until the mid-1970s; it was only then that excavation began. Since then archaeological work has mainly concentrated on the investigation of the larger structures, such as the High Temple, Mask Temple and Jaguar Temple. The Mask Temple was probably my favourite; I was mesmerised by the decorations and the fact that the masks date back to the late fifth to early sixth century. The High Temple is the tallest structure at Lamanai and stands an impressive 33 metres tall. Those brave and fit enough could climb to the very top, but I kept my feet firmly on the ground. Most of the Jaguar Temple is underground, but it is believed that if it were fully excavated, it would stand taller than the High Temple. 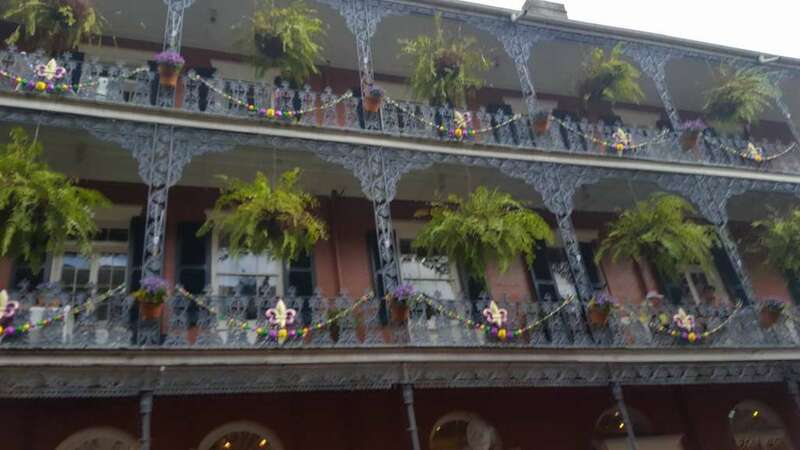 Another of Balmoral’s itinerary highlights was a two-night stay in New Orleans, where guests could experience the thrill of one of the most incredible carnivals in the world: Mardi Gras. I had visited New Orleans in 2016 and missed Mardi Gras by a week, so to be back and right in the heart of the celebrations was a huge thrill. We were sailing the last leg of the Mississippi – we hadn’t even reached our berth at the Erato Street Cruise Terminal – and already we could feel the energy pouring out of the city. I couldn’t wait to get ashore and right into the beating heart of it all. We’d arrived on what is known as Lundi Gras and once we had cleared immigration, we were just in time to catch the last parades of the day along Canal Street. The atmosphere was electric and people were screaming and cheering as each parade rolled by. Some of the processions were on foot, others on horseback and, of course, there were several magnificent floats rolling along. The floats were incredible and I’d imagine they take best part of the year to build. I don’t know what costs would be involved in creating something like this, but if I had to guess, I’d say upwards of $10,000. Don’t miss the Mardi Gras! Shrove Tuesday or Fat Tuesday, as it’s known during Mardi Gras, was incredible, but it’s certainly not for the faint-hearted. Thousands of people gather across the city from far and wide and not a single street is left untouched. Parades last for hours, beads are thrown in all directions and even along the streets in the French Quarter you will run into a home-made float or two. 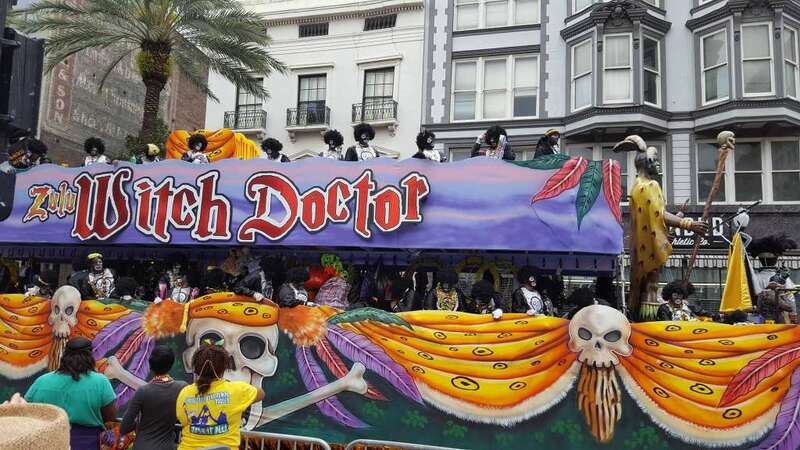 I managed to find a fabulous spot on Canal Street (once I moved from St Charles) to watch the Zulu and Rex parades – the biggest of the Mardi Gras parades – and I stood there for hours taking in everything that was happening around me. I also managed to catch my fair share of beads, and – let me tell you – bead-catching is serious business in New Orleans! The locals are highly-skilled and they leave with bags filled to bursting with all sorts of carnival mementos. New Orleans during Mardi Gras is one big rush of adrenaline and if you get the opportunity, you absolutely must put yourself right into the thick of it. The final port I’m going to share with you is Charleston in South Carolina. My day here included a visit to the Boone Hall Plantation, which is just across the Arthur Ravenel Jr. bridge in Mount Pleasant. The drive through the grounds towards the main house is a real highlight, as the dirt road is lined with 200-year-old oak trees – it’s famously known as the Avenue of Oaks. During my visit, the sun was beating through the branches, casting wonderful shadows across the road ahead. It really was a spectacle. We spent time exploring the grounds at our leisure, and my first stop was Slave Street, where a row of small brick buildings (which at one time were home to the plantation’s slaves) offered visitors a look at what life for the plantation’s slaves was like throughout the centuries, by way of images and audio commentary. 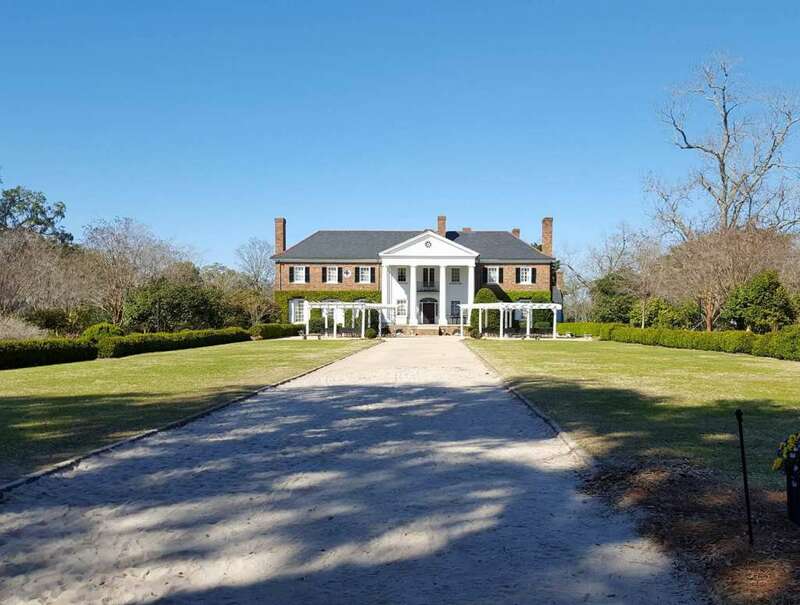 At one time, Boone Hall was home to almost 300 slaves; it was one of the wealthiest plantations in the south, producing cotton, red bricks and pecans. Our tour inside the main house only lasted for 30 minutes, but in that time our guide, Ed, really brought history alive for us. He told us all about the plantation and how the original property was demolished in 1936 and replaced with what we now see today. This was because the owners at the time – Thomas Stone and his wife, Alexandra – wanted a grander property and having seen photos of the original house, what now stands in its place was and still is a show of wealth and power. Ed also told us that in the 1850s, Boone Hall used to produce 4,000,000 red bricks per year – or, rather, 85 of the property’s slaves would produce the bricks! I can’t begin to fathom what that kind of life it must have been. Boone Hall is a fascinating piece of American history and I’d highly recommend a visit. Balmoral is a ship with a real home-from-home feel. Onboard, she offers several spacious lounges and bars, including the Neptune Lounge and Lido Lounge, both of which offer various forms of entertainment, day and night. Her dining options include The Palms Café, which is the onboard buffet option, and her main restaurants are the Ballindalloch, Spey and Avon. During sea days (weather permitting) there is also usually a BBQ on Deck 7 aft. Her staterooms are comfortable and spacious, and offer all the modern amenities that you would expect to find aboard a cruise ship. If you are a solo traveller, then Balmoral is the ideal choice for you, with over 60 solo cabins. In fact all the ships within the Fred. Olsen fleet offer a wide variety of solo cabins. Balmoral can accommodate up to 1,230 passengers.